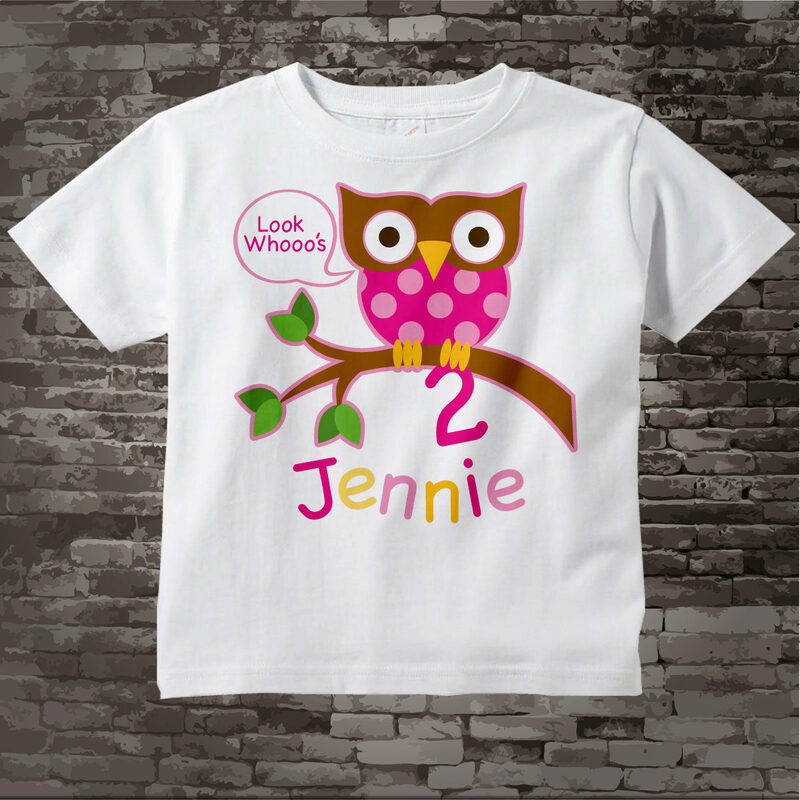 This cute tee shirt or Onesie with cute 2bd birthday Girl owl can be personalized with your child's name and age. 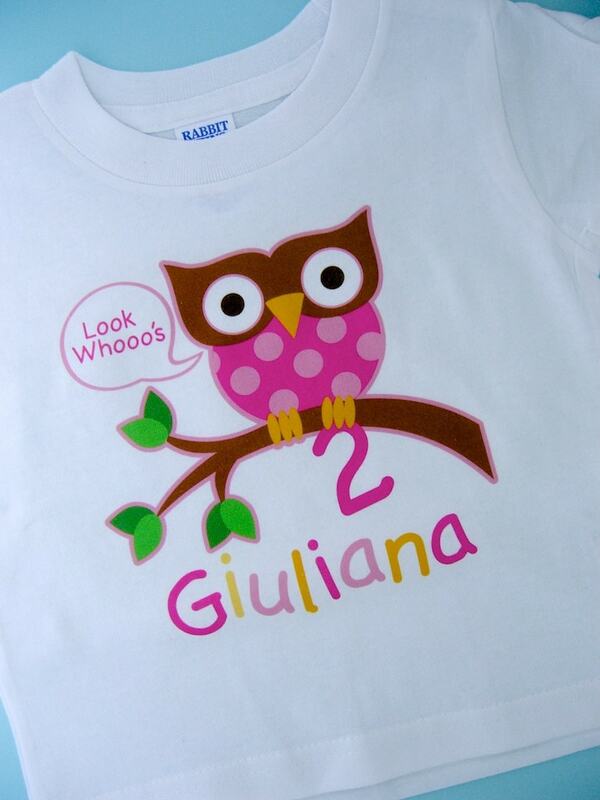 If you prefer we can change the wording of the "Look Whoooo's" to something else like "Birthday Girl" or we can leave off the Look Whoooo's and have it just have the name and age. Shipped quickly, looks just as picture presented it! True to size! I love it! So cute! Love, love, love it! 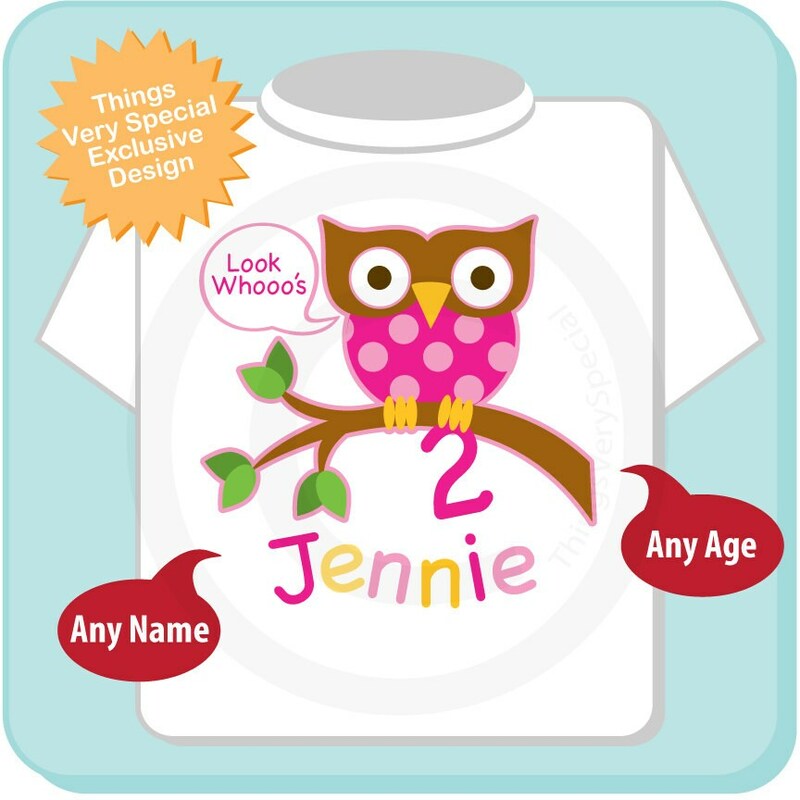 Glad I ordered a 4T. Size looks perfect! Shipped fast and was as cute as on the pictures!